Yes, the show must go on! 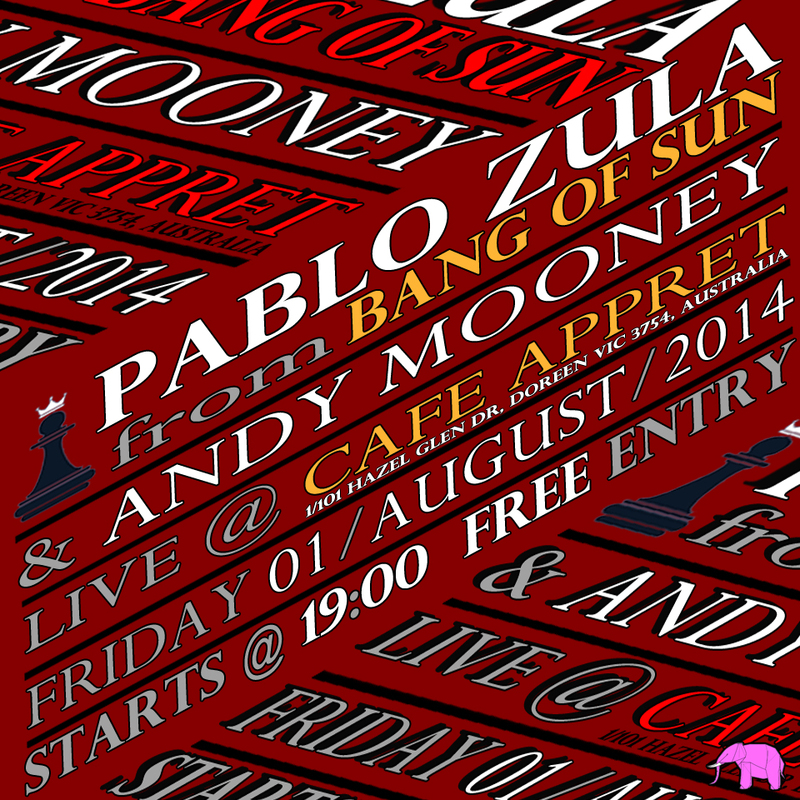 Pablo will be performing some covers and Bang of Sun songs live at Café Appret, Doreen, on Friday, August 1st, 2014. Also onstage is guitar wiz Andy Mooney (ex-The Flat Stanley) performing solo. Pablo and Andy plan to do two songs together as well. There’ll be heaps of other acts onstage, too, so come along and support the vibrant and fun little local music scene. FREE ENTRY. Great food. Family-friendly atmosphere (kids are welcome!) Booze purchasable, too (access to buses too).